When it comes to banning firearms in America, Leftists operate with a dark twist on a common aphorism; for them, “there is more than one way to skin the Second Amendment.” While Democrats have had marginal success stalling efforts by the GOP in Congress to pass much-needed firearm legislation (for example, the Hearing Protection Act and national reciprocity for concealed carry), not since Bill Clinton’s 1994 federal Assault Weapons Ban have they enjoyed any real legislative victories on gun control. Public opinion still favors protecting the Second Amendment from congressional interference, despite efforts by Democrats to turn every mass shooting into a political cause regardless of the circumstances or facts. As a result, numerous attempts to pass gun control similar to that of the Clinton-era have been reduced to symbolism; failing to draw support from even some Democrats in states having majorities of Second Amendment-supporting voters. This is not to say that Democrats have been completely ineffective in pursuing their gun-control agenda. President Barack Obama understood the futility of pushing Congress to pass openly gun-control legislation. Wisely, his administration focused primarily on what could be accomplished in the private sector, employing the regulatory powers at his disposal. Thus, during the Obama years, agencies including the Centers for Disease Control and the Federal Deposit Insurance Corporation, pressured non-government entities over which they had a degree of regulatory control to “choke” the manufacture, sale, distribution and ownership of firearms. 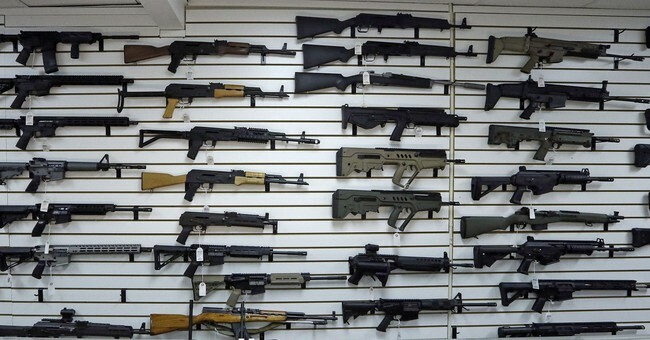 Lawful firearms businesses will remember “Operation Choke Point” as a clear abuse of the federal government’s regulatory power over financial institutions and part of a drive to choke off the ability of those businesses to engage in normal and necessary financial practices. This abuse of government’s regulatory power remains a tactic even now being employed by New York Governor Andrew Cuomo against insurance companies with lawful ties to the National Rifle Association. Cuomo’s strategy is so blatantly unconstitutional that the American Civil Liberties Union, which rarely finds itself on the same side of a battle with the NRA, has joined in the fight against what Cuomo and his cohorts in Albany are doing. Liberal activists have also grown wise to this private-sector approach, by bullying private corporations to adopt their anti-gun agenda. This strategy of shaming and bullying corporate America into embracing a left-wing political agenda was honed in the 1980s by Jesse Jackson; but that torch has been passed to a new generation of rabble-rousers, led now by the likes of the ego-centric high-schooler David Hogg and his anti-Second Amendment disciples. It has been disheartening over the years to watch one corporation after another cave to left-wing histrionics about guns, and against the NRA in particular. But at last, someone is fighting back. Earlier this month, the state of Louisiana’s Bond Commission, which manages the state’s debt, voted to prohibit contracts with banks that had denied funding to organizations supportive of the Second Amendment. By this action, Louisiana dropped both Bank of America and Citigroup from its pool of prospective underwriters of its public debt. Hopefully what the Louisiana Bond Commission has done will embolden other states to start using the tools at their disposal, to fight back against financial and other institutions operating in their states, when those corporations unfairly and improperly succumb to the Left’s anti-firearm agenda. And, there is no need to limit such a strategy to matters relating to a state’s issuance of public bonds. State governments legitimately could prohibit its employees from travelling on airlines, patronizing car rental companies, lodging at hotels, or using government-issued credit cards at businesses that have caved to pressure from gun-control groups and taken steps against the NRA. Liberals will, of course, cry foul and proclaim that such punitive measures are unreasonable and abusive. Seems to me it is simply giving the gun-control crowd a dose of its own medicine; and it is high time we started fighting back.